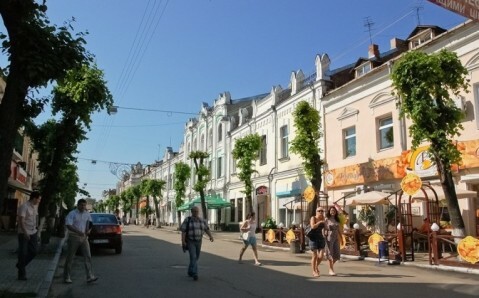 Situated on three rocky hills and surrounded by ancient forests, Zhytomyr is considered to be the gem of Polesia. This old city with a boisterous history, interesting landmarks and unique landscapes attracts more and more travelers each year. Some of them arrive here to admire its peculiar nature. 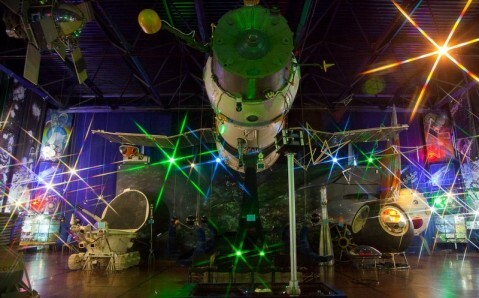 Others - to visit Ukraine’s only Museum of Astronautics. The city remembers the exact year of its foundation: 884. Its name is still a subject of debate, however. According to one tale, the local lands were inhabited by 'zhytichies' - a Slavic tribe of farmers and bread makers. Thus, the Ukrainian word "zhyto" (rye) could have given the city its name. But another story has become more popular: Zhytomyr was named after an Old Russian warrior who fought for the princes Askold and Dir. He built a wooden castle on the rock among the forests, the legend goes, which grew and turned into a city. In the 10th century, Zhytomyr became a part of Kyivan Rus. In 13th, the city, along with many others, suffered from the destructive invasion of the Mongol. A century later, it was captured by the Lithuanians. Despite constant attacks, Zhytomyr developed, grew, got stronger, and had a moat created around it. By the mid-15th century, it was one of the 15 largest towns in the Polish-Lithuanian Republic. Since 1569, Polish magnates ruled Zhytomyr, but by late 18th century, the city became a part of the Russian Empire. In due course, it turned into an important industrial and trade center. Today, Zhytomyr is known as the hometown of many outstanding scientists and artists. One man in particular, the founder of practical cosmonautics and the designer of the first space rocket, Sergey Koroliov, was born here. The unique Museum of Cosmonautics in Zhytomyr is named after him. The museum’s exhibitions are scattered about the city. One part, which includes his personal items, documents and furniture, occupies his childhood home. Another, called “Cosmos,” is kept in a new building that was created specifically for this purpose. “To visit this exhibition is just the same as being in a science fiction novel” - that is the usual reaction from the museum’s visitors. The models of and real-life spacecrafts, equipment and outfits, unique pictures and documents, and light and sound effects create the “otherworldly” atmosphere in the galleries. The most popular of the museum’s items is considered to be the vial of moon sand, presented to the museum by NASA. 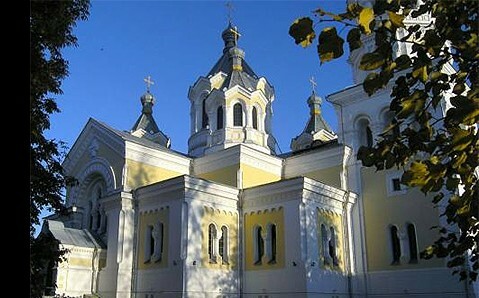 Zhytomyr is proud of its architectural monuments, one of the most splendid ones being the Cathedral of the Transfiguration. 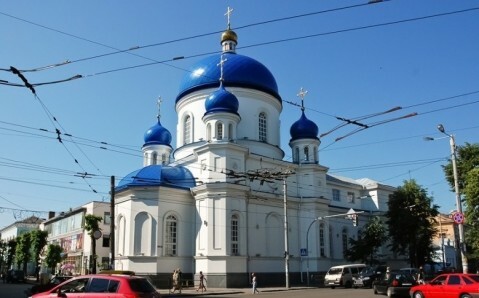 Built in the 19th century, the church is considered to be the city’s symbol. Its majestic beauty and size are truly impressive - its towers are 53 meters (170 feet) high. 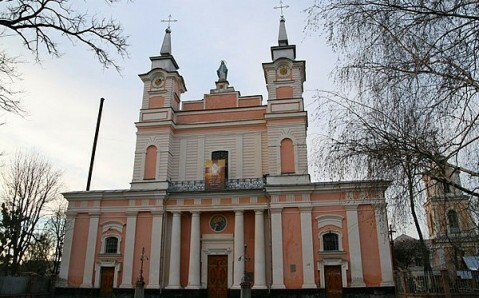 On the hill where the Zhytomyr castle used to stand, another remarkable monument of sacral architecture is situated, the St. Sophia Catholic Church, built in the 18th century. Its unique look is the effect of the harmonious blend of two architectural styles, the Baroque and Late Renaissance. 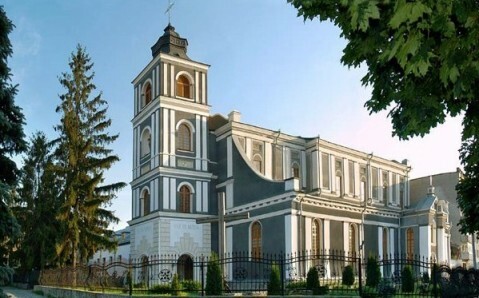 Not far from the Catholic Church, you will find the magnificent Palace of Zhytomyr’s Bishops. A local history museum and a gallery that contains the masterpieces of many excellent European painters now occupy the building. And an attractive, two-story Town Hall (former City Council) building stands nearby. Zhytomyr is also famous for its numerous parks and public gardens: it is one of the greenest cities in Ukraine! The picturesque Gagarin Park is especially loved by local citizens and tourists. Among cozy paths and fountains' cascades, another of Zhytomyr’s landmarks is located here - a suspension bridge that has splendid views of the city. But the city’s best quality is the charming happiness with which it welcomes its guests. It is not by chance that hospitably open gates were the city’s ancient logo. Until today, the peaceful and comfortable Zhytomyr is open to everyone who wishes to learn about its rich past, and no less interesting present day life.